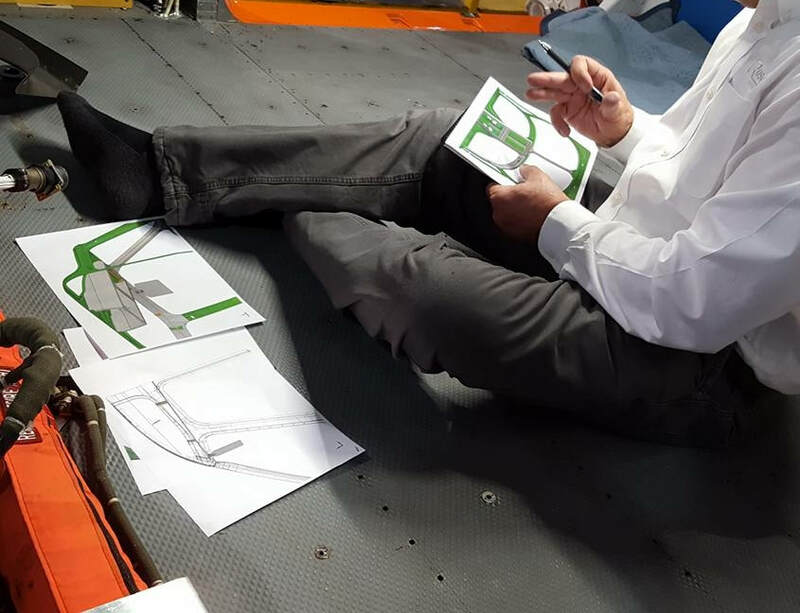 On site measurements of the ORNGE AW139 flight deck for a full monorail visor system! Rosen's team of engineers, designers and sales specialists means your request receives prompt, expert attention. After reviewing your inquiry, the sales team will determine if there is a stock product that perfectly suits your application. If a custom product is required, the engineering team will initiate a conversation to complete a PRD or Product Requirements Document. Once completed, an internal review will be scheduled along with a customer kick off where estimated pricing and timeline will be discussed. Rosen engineers can develop new systems with our in house, state of the art CAD modeling system. Rosen engineers frequently make site visits to work first hand with flight crews or OEM engineers to create a comprehensive sun attenuation system. A complete custom solution might include visors, monorail or roller shade / spring shade components.